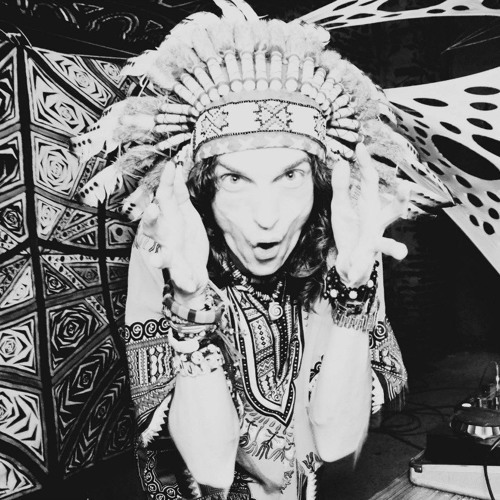 Andrey Alexandrov (Zirrex) - russian psychedelic trance scene pioneer, the creator, ideologist and main energy force for Zirrex and Tau Kita music projects. Zirrex is the project which blasted Moscow dancefloors in mid and late 90-s and proved that artist from Russia can make it's own distinctive music equal to world's best psychedelic trance. Zirrex live sets took part on largest festivals like 'Orbita', 'Uragan', 'Instanzia' and many others alongside with world's most famous projects - Hallucinogen, Astral Projection, Cosmosis, Transwave, Total Eclipse etc. Zirrex was a very welcome guest on popular electronic music radiostations, performed a live dj-set on Muz-TV channel. In 1998 Zirrex has released it's debut long-awaited album 'Lost In Time', which fate was to become a classic of russian psychedelic trance. This music has raised a generation psytrance lovers, who continue to listen and adore it up till now. Zirrex has influenced the music of both local and international young projects who often regard him as a source of inspiration. Today Andrey Alexandrov is not only the man after Zirrex, but also the leader of chill out project Tau Kita which debut track has been recently released on a very succesful Natural Born Chillers-2 compilation by Shulman's Aleph Zero Records. He is also the "KINOMUSIC" studio, which produces music scores for fiction and documentary movies, TV and advertising, modern and experimental orchestrations and so on. Together, all these activities help him to develop and fully express his rich and multi-angled talent.